I’ve really been digging into my latest stack of Paleo cookbooks because cooler temps mean I can run my oven and eat soup all day long. A few weeks ago, this beauty arrived on my doorstep. When I hear “mediterranean”, I struggle to not lump that into just Italian and dream of all the pasta I can no longer eat at fast food shrimp joints. Captain D’s fettuccine, I’m looking at you. And really, who needs all the chemicals and junk fillers in fast food shrimp joints? When I sat down to do my first glance bookmarking, I was very pleasantly surprised. With recipes such as Fried Sweet Potato omelette (DELICIOUS! ), Caramelized Onion Soup, Braised Beef and Artichokes, Sweet lamb stew, and Creamy Cilantro Salmon I knew I would need another set of page flags. 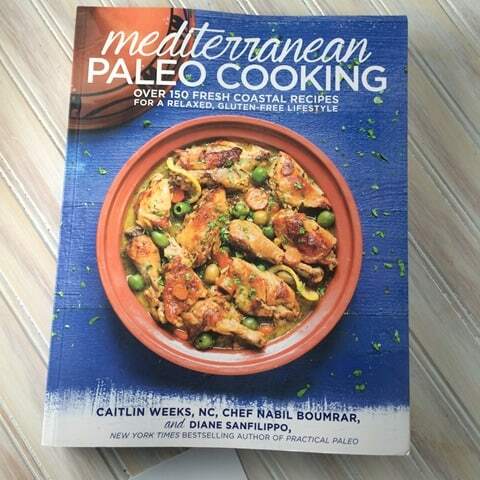 Mediterranean Paleo Cooking offers everyday meals combined with dishes that are perfect for entertaining or special date nights. 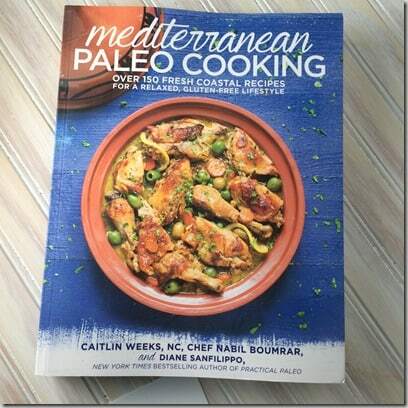 This book is authored by Caitlin Weeks of Grass-Fed Girl, her husband Chef Nabil Boumrar and Diane Sanfilippo of Balanced Bites and author of Practical Paleo. One recipe I loved was this Pumpkin Cilantro Soup. 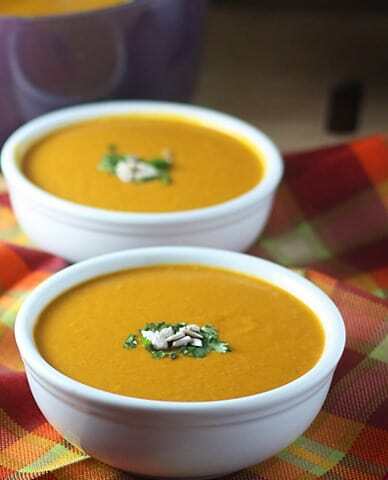 I would have never thought to put a savory herb such as cilantro with pumpkin. But the two combined are outstanding. I made this in my new Blendtec Designer 725 and it was perfect for this soup. 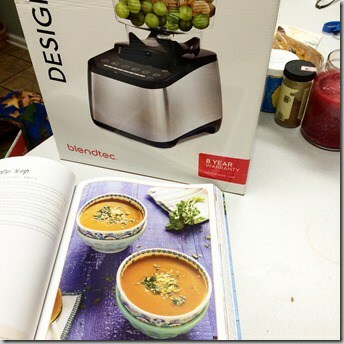 The recipe is included in Mediterranean Paleo Cooking.